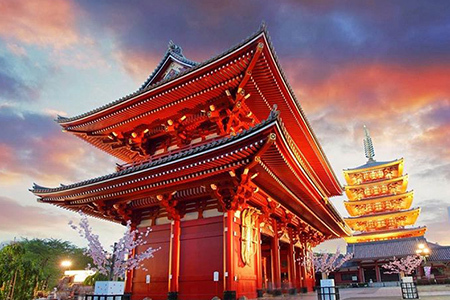 The capital of Japan - Tokyo has a variety of mysteries for you to discover. 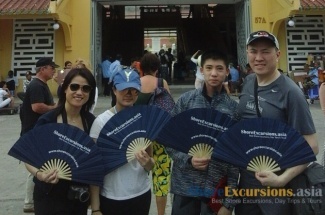 From the traditional culture to the modern life, you will experience all the shapes when joining the Tokyo excursion. 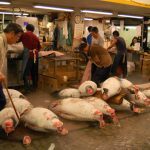 Start your Tokyo trip with the first place is Toyosu Fishery Market, the Tokyo’s main wholesale fish market moved from its former location in Tsukiji, as part of the massive redevelopment in the lead up to the 2020 Olympic games. You can be amazed at the state-of-the-art refrigeration system made by local people which ensures all fish sold at their freshest. 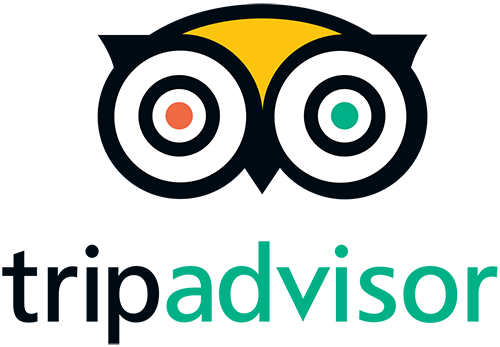 Moreover, see all the sea creatures on display, watch the traders at work from custom-built observation platforms, and also observe the famous, early morning tuna auctions. 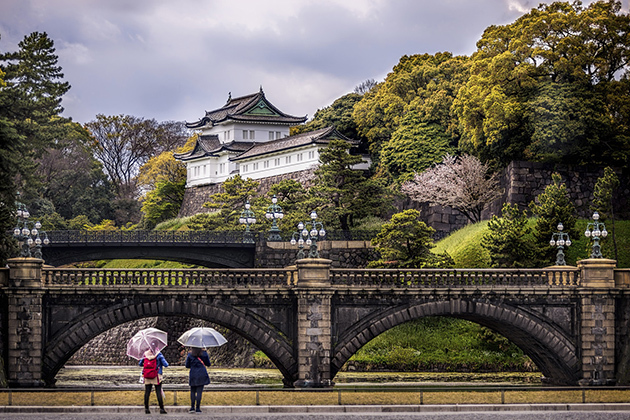 A short walk from Tokyo Station, you set a foot on the Imperial Palace Plaza – the residence of Japan’s Imperial Family. 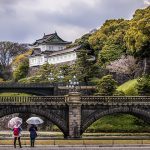 From the large plaza in front of the Imperial Palace, visitors can view the Nijubashi, two bridges – one made from stone, and the other is wooden – that form an entrance to the inner palace grounds. 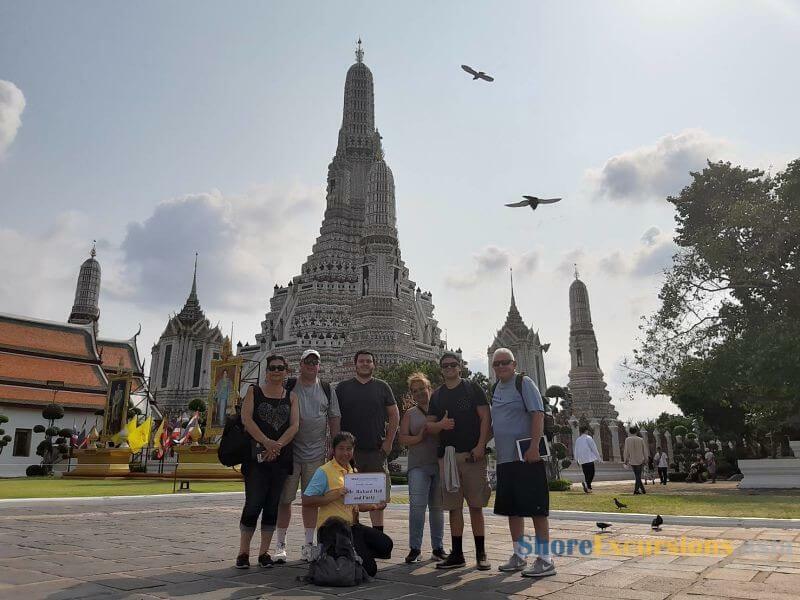 If you are bored with seeing the castle for a long time, the East Garden is the suitable place for you, which marked the Japanese garden style. 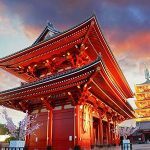 The next place is the Ginza – the most famous shopping, dining, and entertainment area – the home of several department shops, boutiques, art galleries, restaurants, nightclubs and cafes in Tokyo. 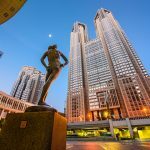 The value of one square meter in this area is over ten million yen, what makes it become one of the most expensive real estates in Japan, where a normal cup of coffee can cost over 10 dollars and where you can find any fashion and cosmetics well-known brand such as Channel, Cartier, Burberry, etc. and of course famous Japanese brands like Shiseido, Laox, Uniqlo. The Utopia. 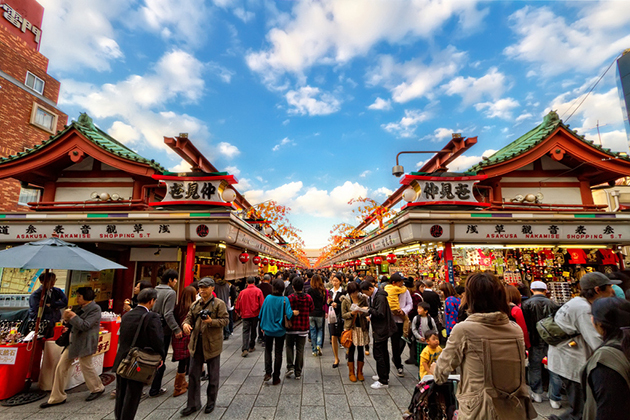 After freely shopping, you head to the Asakusa Senso-ji Temple, one of the most colorful and popular temples in Tokyo. There is a legend that long time ago when going fishing, the two brothers caught a statue of Kannon, the goddess of mercy. Every time they send the statue back to the river, it always returned. 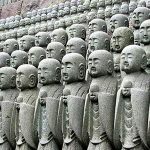 To show their respect to the goddess of Kannon, locals had built Sensoji Temple nearby. 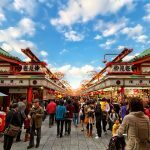 In there, you can choose some typical Japanese souvenirs for your family and friends in the Nakamise Shopping Arcade such as yukata and folding fans, or some traditional local snacks from Asakusa area. 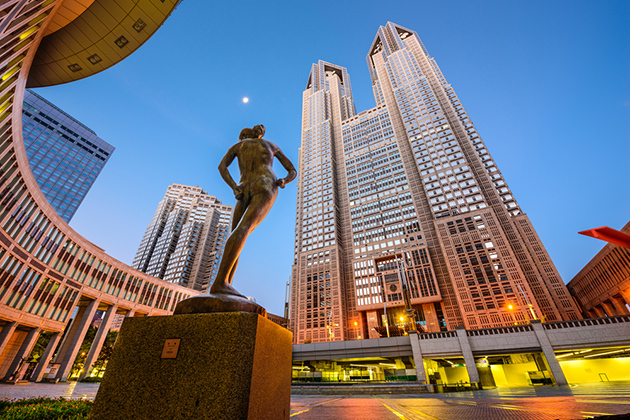 Your Tokyo excursion continues with a visit to The Tokyo Metropolitan Government Building famous for the special observation decks where you can experience the scenic panoramic views of Tokyo. 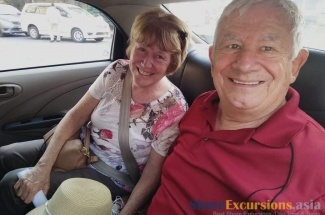 With favorable weather conditions, while you enjoy a cup of café, famous landmarks such as Mount Fuji, the Tokyo Skytree, Tokyo Tower, Meiji Shrine and the Tokyo Dome can totally be viewed. 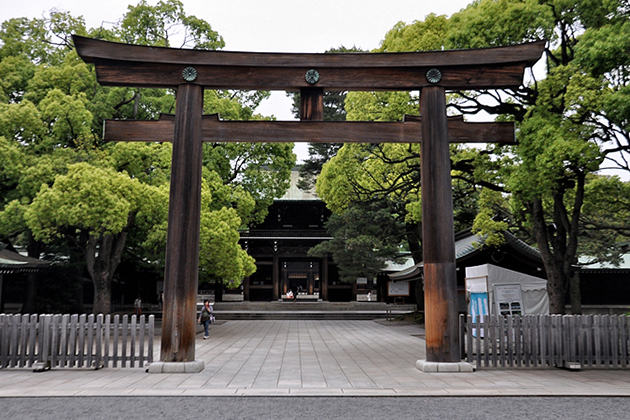 For the final spot, you can choose between the Meiji Jingu Shrine and the Shibuya street. 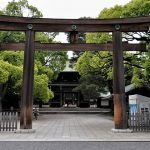 Dedicated to the deified spirits of Emperor Meiji and his consort, the Meiji Jingu Shrine make up a large forested area within the densely built-up city. Feel relaxing in the spacious walk paths leading to the forest with hundred-thousand trees, stroll to the northern end of shrine grounds can locate the Meiji Jingu Treasure House where many interesting personal belongings of Emperor Meiji and Empress Shoken are displaying, you surely consider the Shrine is the most worth-visiting place when coming to Tokyo. 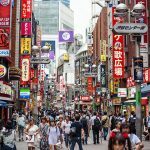 Another choice is the Shibuya street. 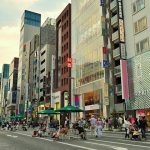 You’ll be regret if your Tokyo visits not include a walk along the famous cross in front of Shibuya Station. 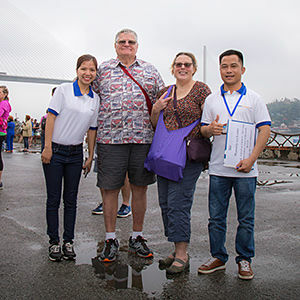 On beautiful afternoons and evenings, the area is becoming crowded with a great number of visitors, students, young couples, and also shopaholics. 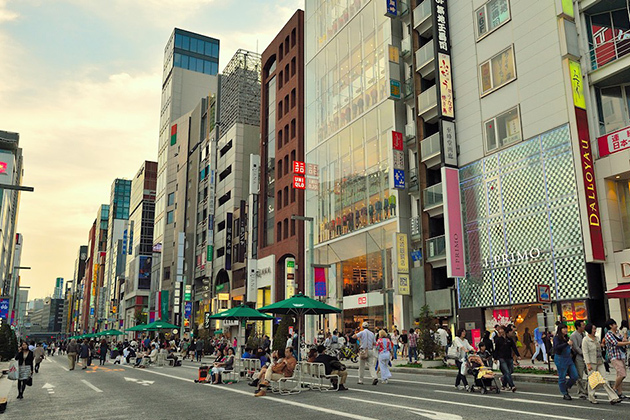 After that, you back to teenage with a visit to Shibuya 109, a huge mall includes over 100 boutiques filled with second-hand clothes and accessories. 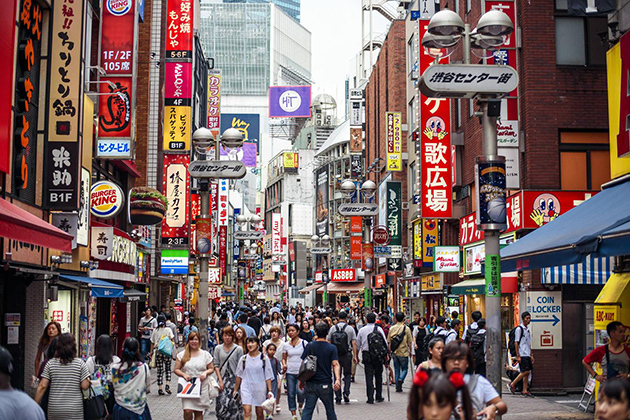 Or return to Shibuya Station and take a short walk to Tokyu Food Show for a party of local flavors tasting: grilled eel, fried pork, tiny fish salad, stick-octopus, and especially sushi – the Japanese traditional dish. 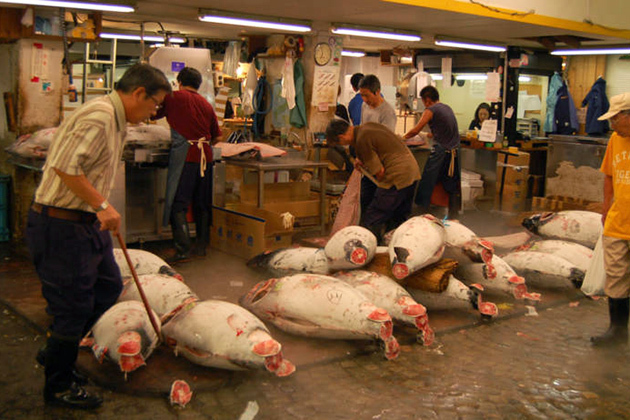 Complete tasting all the favors of Tokyo, you turn back to port for next Asia shore excursions.